Politics? No, potties! 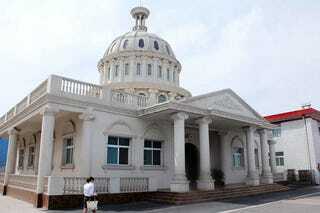 Spotted in eastern China, this public restroom appears modeled after the the United States Capitol. That's right, as you can see in these photos courtesy of Au123, this is an iconic American Neoclassical building reborn as a toilet.